When we made the decision to pull Logan out of public school near the end of the second grade, he was a wreck. Emotionally spent from trying to keep up the public school pace as well as navigate the social nuances of his same age peers. Peers that he was not at the same place developmentally. He would come home and retreat into his world of autism just to get away from all the expectations. It was abundantly clear that academics weren’t going to happen without going back to fill in some gaps. We had just started seeing a RDI (Relationship Development Intervention) consultant. When we arrived for our weekly appointment, I asked her for some tips on how to get Logan to “do school” at home. Her response floored me. She simply said “I wouldn’t.” Her theory at that time was that Logan felt extremely incompetent when it came to academics. He would balk at doing anything simply because he didn’t feel like he could do it. Our time together would be best spent just hanging out together while working on our master/apprentice relationship. After much discussion between her, Michael, and myself, we decided that it wouldn’t hurt to call it a school year since it was March. Our intention at the time was to pick academics back up in September. The next few months were beyond amazing. For once, I felt like I could see my child underneath all the haze of autism. He didn’t retreat to his room quite so much. He would come out for short spurts to play games with me and Madison. As he continued to progress in RDI, it became apparent that we needed to fill in some major gaps developmentally before we could do academics. One can not attend to math problems if one can’t sit still long enough to look at them. One can not listen to a book being read if one can not filter out the other noises in the room first. One can not join in science experiments if one can not be around other people for an extended period of time. You get the idea. By going back to fill in the developmental gaps, we were able to open up a whole new world of learning to Logan. One year turned into two years as the three of us (myself, Logan, and Madison) spent our days hanging out together. We explored things that interested us, played games together, and spent loads of time on field trips and playing outside. I watched my child with autism bloom before my very eyes as well as learn in a way that had been foreign to him. Two years later , as we began kindergarten with his little sister, he happily joined in the schoolwork making progress by leaps and bounds. By meeting him where he was developmentally we were able to teach him what he needed to know along with instill a love of learning. Now that he is in his high school years, there is no hint of him having taken two years off academically. Those two years made all the difference in his recovery & are among some of my fondest memories of his childhood. 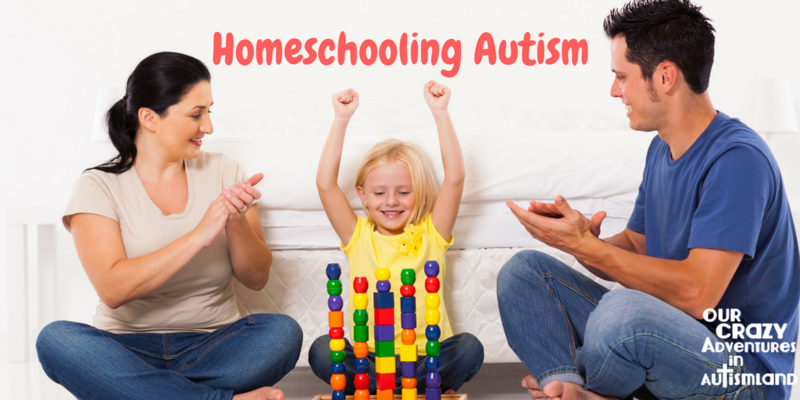 Read about our journey in our ebook: Homeschooling Autism! Thanks for sharing your story! It is inspirational. What a wonderful testimony! So glad you were able to do this for your son! Every single child is different. As a teacher in public schools, I see students of all levels in one age group. Yes, they’re all assigned to the grade based on when they started school. Yes, they are all the same age. No, they are not all at the same place educationally and that isn’t always the result of educators or public school. Some kids are ready to start kindergarten at the age of three or four. Others aren’t developmentally prepared for kindergarten until six or seven. In our state one criteria schools are graded on is if all students enter kindergarten “ready”. This criteria is ridiculous. Not only is this unfair to hold against a school district or educators, it’s unfair to hold against children and parents when the government dictates when a child must start school based on their birth date not their individual development. Good for you and your family for doing what was best for your child! So many students and parents are frustrated because their kids missed so many foundational lessons because they just weren’t ready for school. Thanks! I’m usually a follow the rules kind of girl but sometimes rules are made to be broken. Great idea! I’m so glad it worked out for you too! You are an inspiration to mothers all over. I personal believe that some kids progress faster in their home environment than others. As a parent we have to take a stand for what is best for our children. Thanks for sharing. I will make sure to pass this on to others who may be in the same situation with their children. That’s great! I’m so happy that it worked out for all of you! It’s awesome that you were able to do that for him! Thank so much for the encouragement! What a great way to sacrifice and do the best for your child. Children are a gift from the Lord and I’m thankful you are able to the best for him! I think a lot of children, autistic or not, can do without the pressure of school from time to time. I live in India, and I’m sometimes glad I don’t have kids (don’t misunderstand me – I love kids!) as I see how much pressure children and parents come under from the school system. I’m so glad you took that step for your son and the results are showing! Very inspirational. Corinne Rodrigues recently posted…Have We Lost Our Sense Of Wonder? Thanks! I think everyone needs a break from time to time to regroup and relax. I firmly believe that one size does not fit all in education! (Or, well, anything I suppose, lol…) Thanks for sharing a great example of how an alternative schedule can benefit some children! Thank! I agree that one size does not fit all! Good for you for having the courage to make the right choice for your son and family, despite what others might think! May all of us as parents realize that sometimes we need to do something drastically different than everyone else! Hello! I love your story. It was a pleasure to read id…what you have done for your son, and family, was great. I wish more people were able to take the right decision more often and not be scared. Congratulation for being a strong person! It was really brave of you to challenge the norms and do what was best for your son. I am glad you found a solution that was obviously best your family’s needs and it is great that you could make it an option. You did what parents should do. You assessed your child’s needs, figured out a plan, and got it done. I’m glad both you and your son started feeling better and that he’s on the path of academia at his comfort level. You should be proud. I am proud! Thanks for the kind words! I am such an advocate of doing what works for you and your family when it comes to Education, child raising, discipline, and what works best academically for your child. My sister in law home schooled my two nieces for years, and they are doing awesome in college. Thanks for sharing this amazing post! Thanks so much! That’s awesome that your nieces are doing so well. Your post was so amazing! You are such a great mom! I can tell you love your son very much and will do anything for him! You are inspiring! Thanks! I always appreciate seeing people who have walked before me so this is a great way to repay the favor. Sounds like this was a great choice for your family. Good job! Thanks! It was a great choice for my family! Some kids learn at their own pace, regardless of what they got going on. No one should judge the situation. It can be hard when society tells you that this is how things have been done for all these years and how dare you break that mold. The world is changing and sometimes molds were meant to be broken. You have to do what is best for you and your child. What a great testimony to you family’s perseverance. I know from experience how “the system” deals ( or not) with Autism. I am truly happy that Logan is doing so well and have no doubt he will continue to amaze both you and himself. This story has touched my heart! It just goes to show that as parents we need to trust ourselves that we know what our children need. We shouldn’t feel pressured to follow the system just because that’s the way everybody else does it. Special cases call for special ‘intuition’. 10 thumbs up for a job well done Mom! Thank you! Indeed, we need to remember that God gave these children to us for a reason. We need to trust that He will show us the way. Good for you! It is hard to go against convention and do something different, even if you are convinced it is the right thing for your child. I have good friends who are home schooling their son for similar reasons. Their younger son is in public school and they have tried to return the older child to public school, but it just doesn’t work for him. He is now thriving at home. Circumstances are different for every child. I wholeheartedly agree. Each child is an unique individual. What works for one may or may not work for another. Sort of like autism. Thank you for sharing and inspiring others who may be in the same situation that you have been through. This gives hope to others that may be going through a new diagnoses and trying to make sense of it all. Unschooling is a great alternative method to sending our children into school without the proper attention they deserve. Thank you! It’s been an amazing journey. Truly enjoyed your heartfelt post. My beautiful granddaughter is on the Autism Spectrum as well so I am able to appreciate the trials and tribulations that you have been through. It was a very courageous act of love and kindness that surely has had a great effect on your son. Congrats to all involved. Thank you! I pray that your granddaughter achieves a great future! We are very blessed . Thanks! I am a veteran public school teacher of 35 years, and I completely understand how you had to make the best decision for your child. Sometimes Mommy does know best, even when the rest of the world and the establishment tell you otherwise! What a great testimony of parents making decisions for their kids rather than letting social or whatever outside pressures tell you you’re wrong. You saw your child where he was at and met his needs. I pray that I can be so sensitive to my children as they navigate childhood. You have helped him lay an excellent foundation for his future. Way to go, mom!! Mary Beth recently posted…Growing Up is Weird. Thank you so much! As a mother you know what your child needs, you just have to display courage sometimes to achieve it. aww I love reading that Logan is doing really well as a result of his time off from formal academia! It’s great to see parents going above and beyond, doing their very best for their kids. I’m encouraged because you did something different based on what your son needed most, even though it’s not something we often see. As parents we have to do what’s right for our children even if it goes against the ‘norm’. 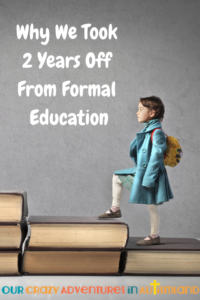 I pulled my child out of public school for a year in order to meet her needs, not societies. It’s not easy, I can appreciate your journey. Thank you for being an encouragement and inspiration to other parents. I also have a teenager with autism, and I home school her and my younger son. It is not easy to home school, but you did a great thing by bringing your child home and by focusing on his developmental needs before academics. Thanks for sharing your story. 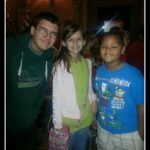 Even without autism, I often wonder if we shouldn’t take time off to grow developmentally. My daughter has the attention span of a cricket when we’re trying to do school and the two littles are constant feeds to her in attentiveness. I applaud you for recognizing what your son needs and going against convention to give it to him. All young children learn best through play. Thanks for the kind words! I give you a lot of kudos for figuring out what your child needed and doing that. Each child is unique and has such different needs. Good parenting involves taking the time to determine them and how best to make it happen. Thanks! Parenting can be tough! I love you story and I thank you for sharing it. I have worked with children with Autism and I loved everyone of them. I also know that the struggle it can bring. A parent knows best are the best resource to their child. What an amazing story! It’s really neat to see what kids can learn without being in school, and even more astounding to see how that foundation positively impacts the rest of their education! Thanks! Given the chance our kids will surprise us! Thanks for an amazing story. It is important that we remember that all of our children deserve to be treated as individuals and should not be expected to do something by a certain age just because others can. This story comes at the cusp of hearing an ad on my Christian radio about how dangerous it is to allow your child to start school late and how once they start late, they will never catch up. Thank you for confirming what I yelled at the radio in frustration! This is a wonderful story of how nurturing and KNOWING your child can bring them out of any thing! I am even super excited to hear about what he will doing after high school! It also made me cherish the times my children and I had at such young ages now that my youngest is leaving me and officially making me a “empty nester”!! lol! Oh my! I would have wrecked the car yelling at the radio. We push children into academics far too young in my opinion. I think with every child you need to pay close attention to how the learn and how they interact with others. So many times kids are placed on a standard that they all should learn by and it doesn’t even consider how that student learns or how they interact with others. I think it was a great idea that you pulled him out to get connected and know your son better! Thanks for reading it and sharing your encouragement! Sounds like this was the perfect solution for your kids. Moms know best! Thanks! It certainly worked out for us! That is wonderful! I’m glad he is doing so well now and that you were able to get such good advice. Flexibility is vital for great education! Good job doing the right thing for your family. Good for you! It must have been really hard for you to make the decision to pull him out of school like that, but it sounds like it was definitely for the best! Always trust your instincts! Wow. That is so awesome! I’m so glad that the advice from the RDI consultant turned out to be so positive – this is a really interesting story. This is really good! I can apply this to my ADHD girl. Sometimes I JUST need to give her a break and do other things. Wow this was just what I needed this week. Thanks for sharing.